Our Horse Mask has become a staple of popular culture, hardly a large event passes without a shot of someone wearing one. However, there are situations whereÊthe mask is inappropriate. For instance, you shouldnÕt wear it while driving. 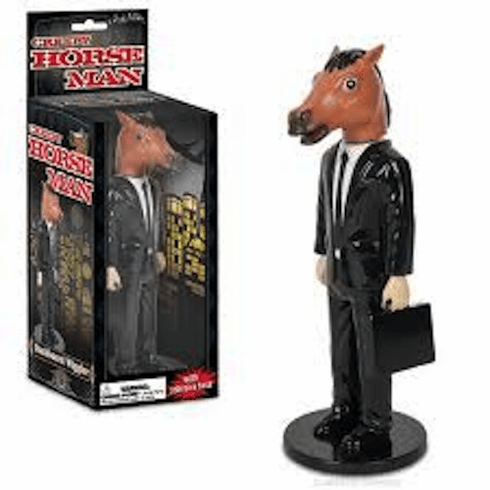 This 6" (15.2 cm) tall hard vinyl Creepy Horse Man Dashboard Wiggler lets you take your love of horse masks everywhere. If you have to ask why, we canÕt explain.